Not for myself, my Dad, he is 75(I think!) 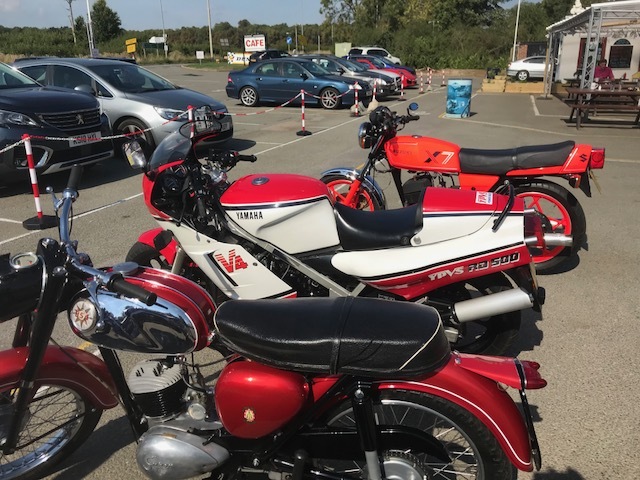 this year and only passed his test a few years ago, he has a 1967 BSA Bantam and a 2016 Honda CB500 in the garage, in the last year or so he has struggled manouvering at slow speed the Honda, these A2 300/400s are considerably lighter and do seem popular with the old(er) folks as much as new A2 riders . He was more confident with it and didnt fear getting caught out quite so easy, anyway, I took it for a spin and was impressed, it hit just under 90MPH along this short straight, dont suppose there was much more left(claimed 35BHP) but it was peppy enough and braked and handled ( in a bouncy kinda way) a treat, comfy too, im sure he'll be more than happy with it when it arrives in a couple of weeks. What a cracking bike, ive always fancied something like that, but with a more powerful engine. 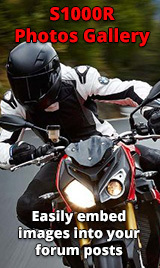 But not a big heavy Touring bike. good on im need more like him. i am 64 going on 18!!! 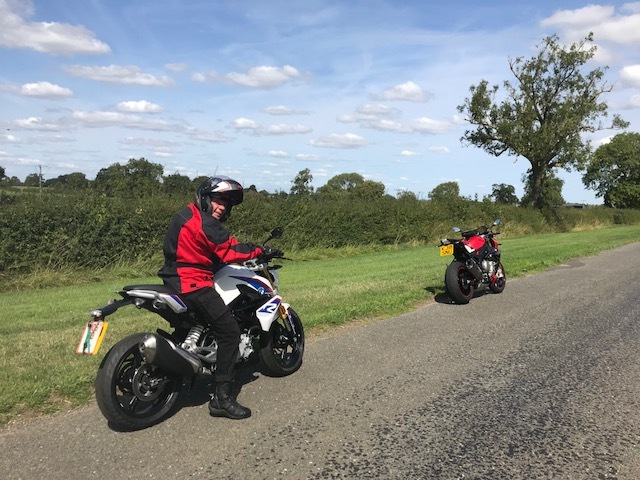 Thanks for the comments, like many of his age, he struggles at times with arthritis etc but he doesnt complain & gets out when he can, we met up today, him on the Bantam, which is lovely wee thing, lets hope we are all riding at that age and more eh.